"Love is such a beautiful frequency." "I may not be your first love but I want to be your last." 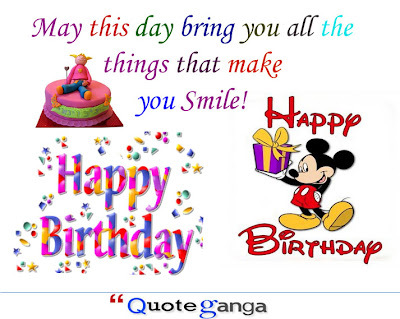 "If you want surprise her - Don't buy an expensive present but do something which could show how much you love her and what can you do to make her smile. Money doesn't matter in this case." "When it comes to love - all calculations, predictions and rules fail. You just forget the world and just want their company." "You only fall into love; real, pure, truest of true love, one time in your life. That person is your soul-mate. Don't let them go." "One should always believe in love at first sight, because they've been in love their mother ever since they opened my eyes." "Treat her right, show her off to everyone, do little cute things for her, don't be afraid to show everyone you're in love." "If you're you 're mine. 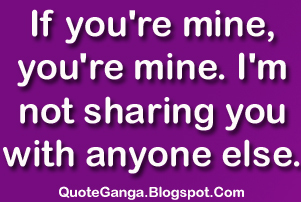 I am not sharing you with anyone else." 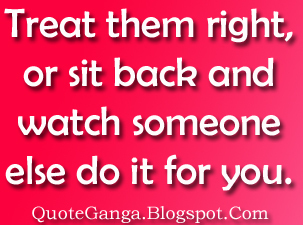 "Treat them right or sit back and watch someone else do it for you." 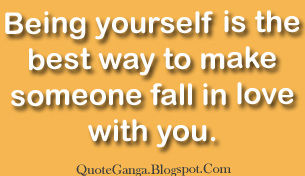 Being yourself is the best way to make someone fall in love with you. "Love is a blessing many people do not get. Be humble when you finally do get that blessing." "This love is difficult. But it's real." 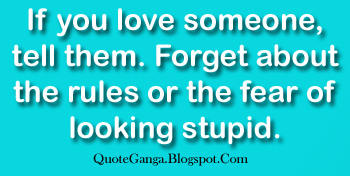 "If you love someone tell them. Forget about the rules or the fear of looking stupid." "Love is a game that two can play and both win by loosing their heart." "Sitting next to you doing absolutely nothing means absolutely everything to me." 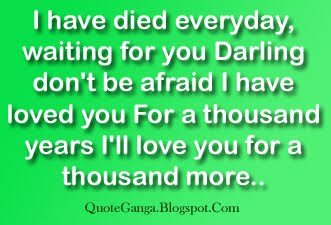 "I have dies everyday waiting for you darling.Don't be afraid. I have loved you for a thousand year. I'll love you thousand more." "Love is something you feel with your heart." 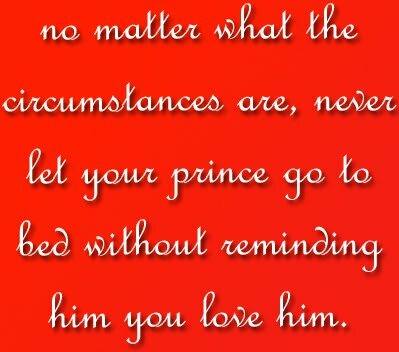 "No matter what the circumstances are, never let your prince go to bed without reminding him you love him." "Let them go is also the part of loving them. It hurts but if your love is true, they'll come back." "They say that love is forever, your forever is all that I need." "No one can tell you the true definition of love, you will simply know it when you fall in it."